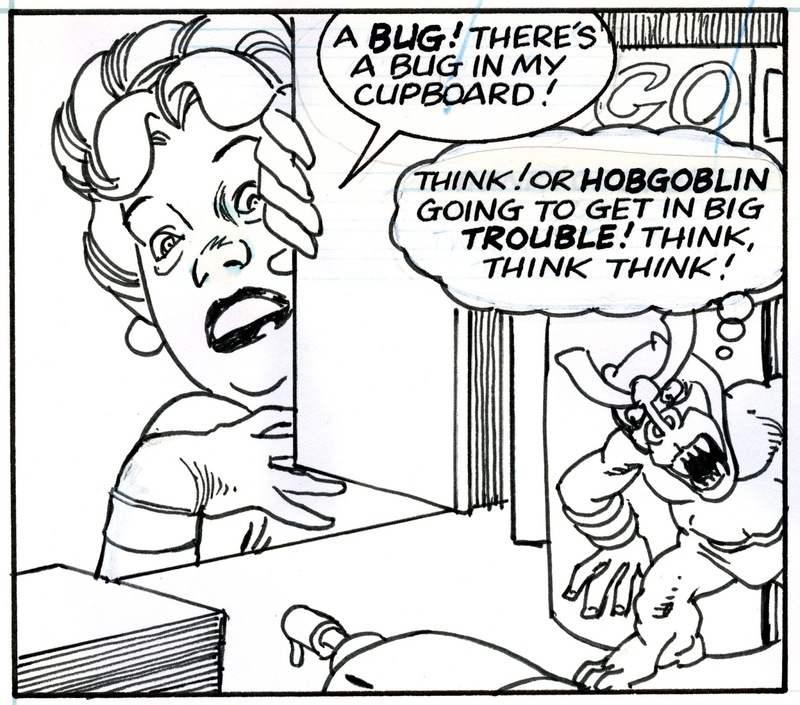 This is page 2 of “Monster in My Pocket”, penciled and inked by by Gil Kane, published by Harvey Comics back in 1991. “Monster In My Pocket” ranks with “Giant-Sized Manthing” as best double entendre comic book title. This comic series is a tie in with a toy line from the period. 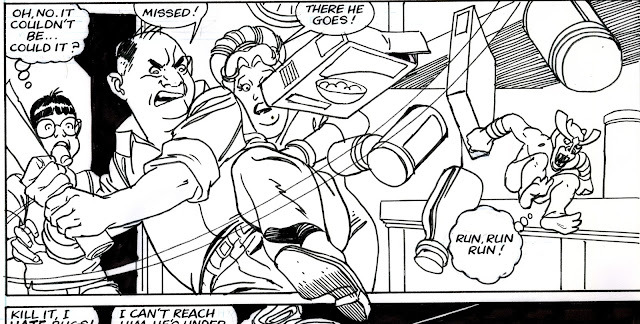 Ernie Colon drew the first issue, and Gil Kane took over with issue 3. There is no indication whether this page is from issue 3 or 4. Gil seems to have inked the pages using markers; the ink is spreading and sinking through the art paper. 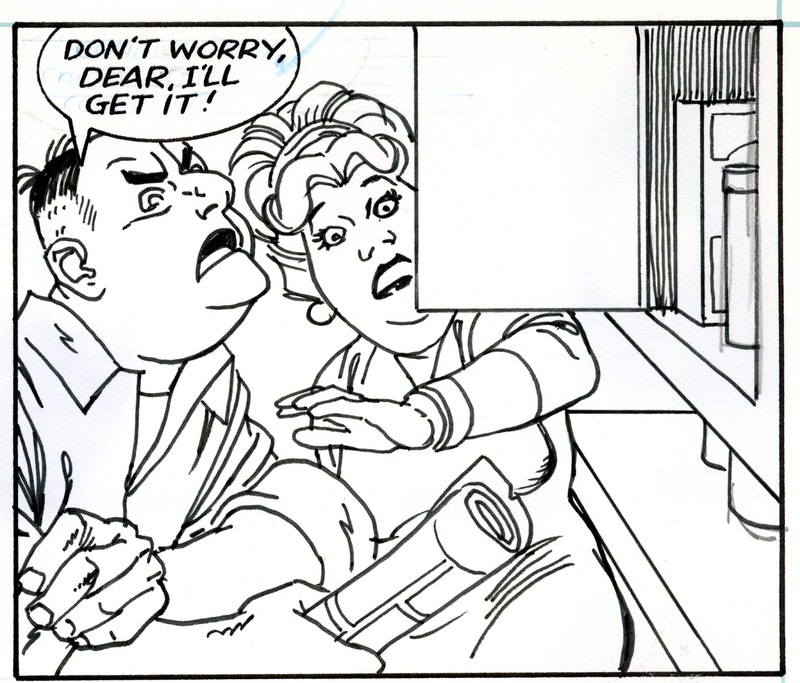 His line quality has a pleasing suppleness and fluidity; at first glance I mistook it for Craig Russell, high praise in my book, as Russell is one of the best inkers in the biz.